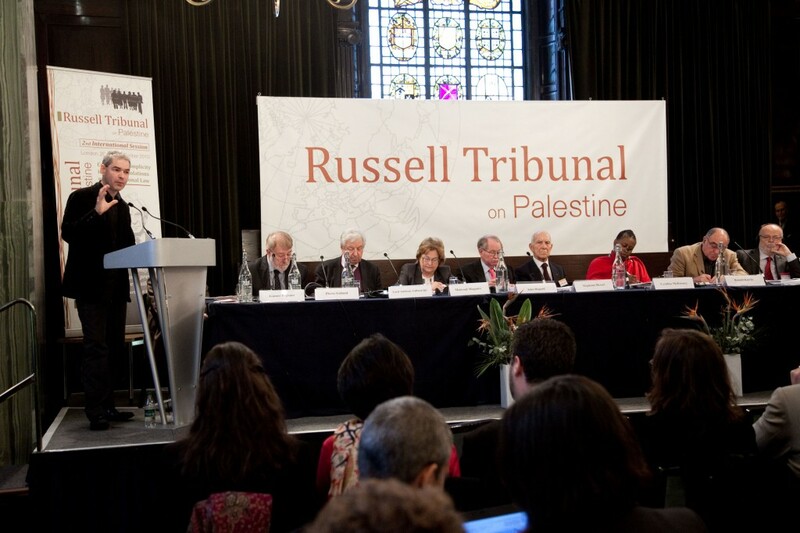 The Russell Tribunal on Palestine sat its second international session on 20-22nd November 2010 at the Law Society Building in Central London. Over two days the people’s tribunal examined evidence of international corporate complicity in Israel’s violations of International Human Rights Law, International Humanitarian Law, and War Crimes. This sitting followed The Tribunal’s session in 2009 in Barcelona, Spain-Catalonia, which examined EU member state’s omissions and complicity in Israel’s violations of Palestinian human rights. The Tribunal’s jury was comprised of internationally acclaimed members, who included Michael Mansfield QC, Nobel Peace Laureate Mairead Corrigan Maguire and John Dugard, the former Special Rapporteur on Human Rights in the Palestinian Territories. 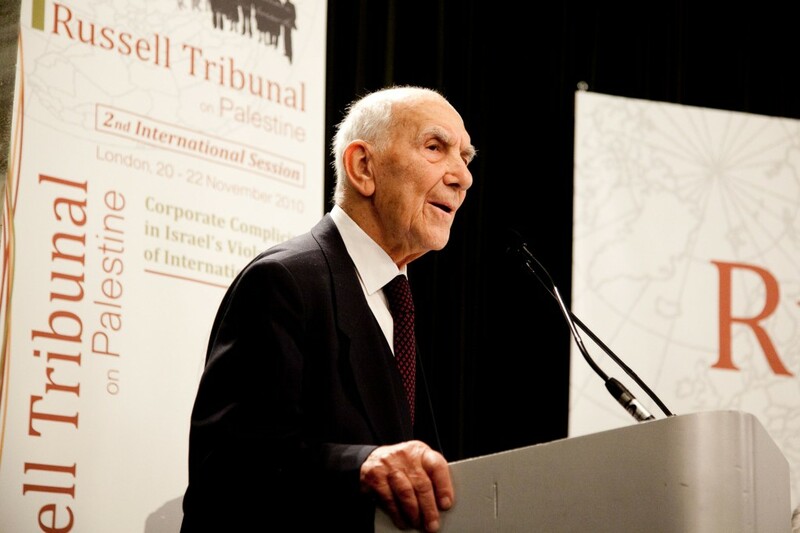 The Russell Tribunal’s explicit and officially stated purpose was to raise awareness and examine the possibility for international legal action against corporations complicit in Israel’s violations of human rights in the Occupied Palestinian Territories (OTP). Expert witnesses: activists, academics, economists, jurists and politicians from France, Belgium, The Netherlands, USA, Israel-Palestine, South Africa and the UK, and other countries gave passionate and sincere testimony and evidence of corporate complicity in the violation of Palestinian rights. The cases against international corporations presented at the Tribunal included VIOLIA, a company contacted to build the Jerusalem Light Railway Project linking annexed Jerusalem to the illegal Jewish settlements in the Occupied West Bank. VIOLIA also runs Israeli only bus services linking the illegal settlements to mainland Israel, a service provision policy which de facto discriminates against Palestinians. Other companies on the stand included Caterpillar which provides Israel with D9 bulldozers for the demolition of Palestinian homes; G4Securicor (G4S) which provides security services for settlements, military installations for checkpoints, and other security equipment for Israeli prisons which are notorious for extralegal detention and the torture of Palestinian political prisoners. The coordinator of whoprofits.org an Israeli organisation which does first hand research on corporate complicity in Israel’s Occupation, Dr. Dalit Baum ardently requested The Tribunal to take up the issue of the treatment of Palestinian political prisoners in its future proceedings. She emphasised that most of these men, women and children are only guilty of peaceful and non-violent resistance against human rights abuse and violation. Throughout the two days many other witnesses who are actively involved in civil society campaigns and struggles against the Israeli Occupation of Palestinian Territories submitted statements against corporate complicity and the corporate aiding and abetting of Israel’s illegal policies against the Palestinians, which include restrictions on freedom of movement, land confiscation, resource exploitation, and arbitrary military brutality. All of the companies under investigation were invited by The Tribunal to submit statements, only three chose to reply, these were VIOLIA, PFZW, and G4S. VIOLIA’s written response involved a commitment to “non-discrimination” in the “disputed territories”, the company’s language largely mirroring the Israeli government’s commitment to the full inclusion of the illegal settlers within the legal and geopolitical parameters of the State of Israel. The Dutch Pensions Fund PFZW described its policy as one of “engagement” with the companies in which it invests even if they happen to be taking part in human rights violations. While G4S stated that the company is fully committed to complying with the “national” laws of the territories in which they operate their services. At the end of the two days of the public people’s tribunal, the jury withdrew to consider and arbitrate on the submissions presented before them. The conclusions of the distinguished jury were presented at a press conference held in Amnesty International Human Rights Action Centre on Monday 21st November 2010. For many, the second session on the Russell Tribunal of Palestine represents an unprecedented and historic event in the history of international civil society’s involvement in the Palestinian struggle against occupation, dispossession and repression. The event allowed activists, academics, jurists and others who have campaigned on behalf of Palestinian rights for many years to come together and learn about and from each other’s activities. Further, in light of our governments’ persistent failures to bring justice to the Palestinian people and in some cases outright complicity in the continuation of violations, those present were able to explore the possibility of civil society and private prosecutions against corporate complicity in Israel’s human rights violations. 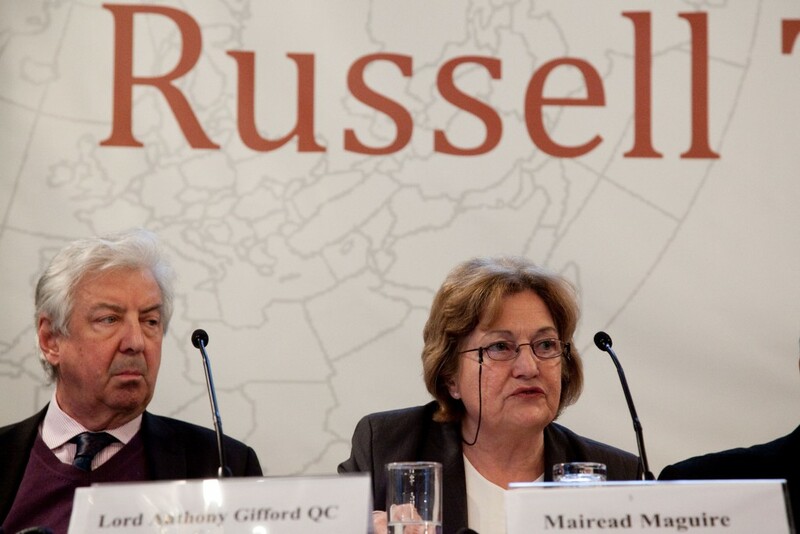 Many of the present felt that the official and legalistic proceedings of The Russell Tribunal gave the ongoing civil society struggle formal legitimacy and could possibly open another avenue for direct action against the illegal Israeli Occupation. Moreover, the recorded proceedings, which are now available online, can also be used and deployed as an activist resource and tool. The consensus being that action is the way forward but that action has to be strategic and concentrated and localised. For example, campaigners can consider taking action against companies such as VIOLIA if they run local municipal or campus transportation services, or if G4S is contracted to provide security for an institutions you happen to be a member of. These are just some of the possible avenues for action at a local level. Finally, as the international jurists and others who presented at The Tribunal reminded us pursuing legal action is often difficult, expensive and time consuming and perhaps it should come as a last resort after direct action, petitioning and lobbying of key officials has been exhausted. Nevertheless, despite all its limitations the law is available in the pursuit of justice and the defence of human rights. In the spirit of the Russell Tribunal the straggle goes on. The next session of the Russell Tribunal on Palestine will be held in 2011 in South Africa and will examine the applicability of The Crime of Apartheid to Israel’s Occupation. Teodora Todorova is a PhD candidate working on the civil society answer to the official Israeli-Palestinian peace process. The rest of her time is spend on the struggle for refugee, migrant and women’s rights. I hope this event produces some good, easy-to-use resources. We could have really used some when campaigning against our university’s links with arms companies a couple of years ago. Look forward to hearing about the South Africa event also, as its a significant stage for such a discussion to take place. Lastly, the struggle is becoming more and more international in its scope, in a similar fashion to the fall of formal apartheid in South Africa. Although many analysist find it hard to see an end of the Israeli occupation, it was almost impossible to predict the fall of formal apartheid in SA 5 years before its demise.